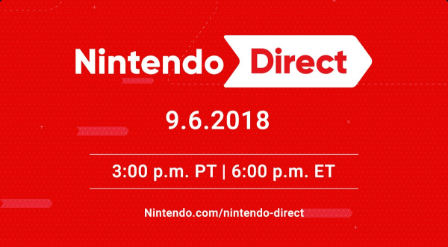 Nintendo is providing their customers with another Nintendo Direct presentation tomorrow, most likely to reveal more information about upcoming titles from the company. While Nintendo's Nintendo Switch console combines the best of handheld and console gaming Nintendo has made it known they have not abandoned the 3DS system. Hopefully, we'll get a brand new set of great games to look forward too. The announcement will take place on Thursday, September 6th at 6 pm ET / 3 pm PT.